1. Open the Moodle page of the course for which you need to add the Poll. Click the green edit button. 2. Find the Add a Block section on the right side of the Moodle page. Use the drop down menu to scroll through the options and select Poll. 3. 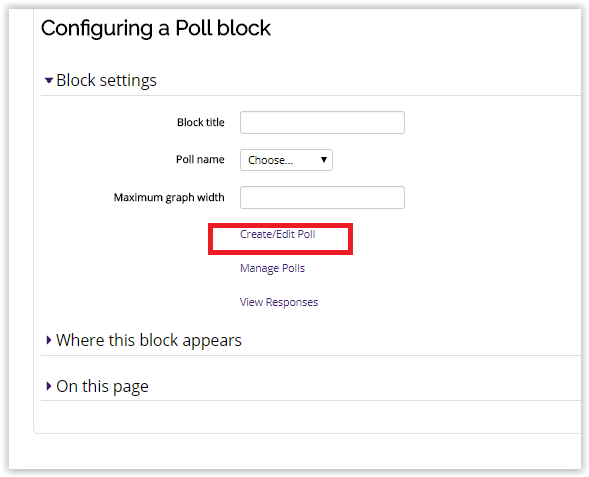 The new Poll block will be added to the page. 1. 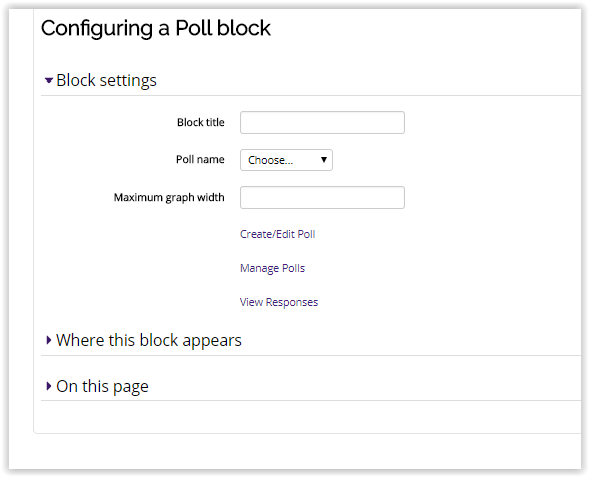 Click the Actions button on the Poll block and click Configure Poll block. 2. The Configuring a Poll block menu is where you can give the block a title and change its settings. 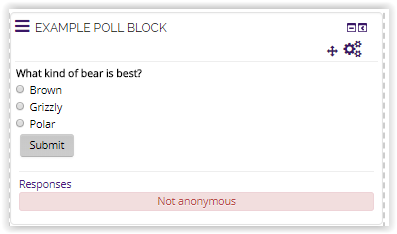 Enter a name for the poll in the Block title section and change the additional settings how you see fit. 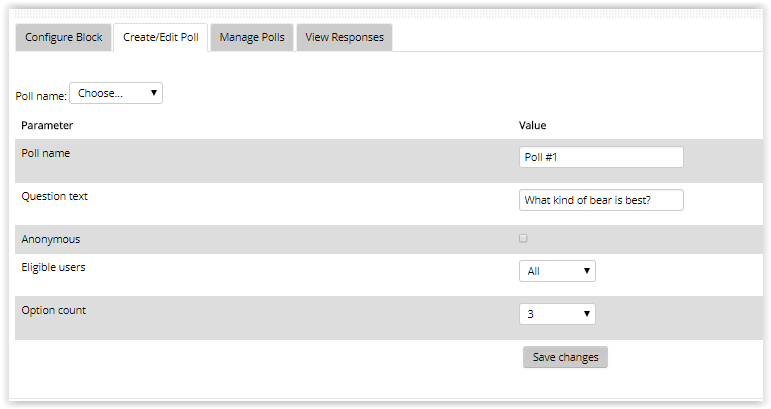 The available poll questions are displayed on the Poll name drop down box. 3. To add a new poll or edit and existing one, click on Create/Edit Poll. 4. Enter a poll name, the question text, and change the settings for the poll question. Make sure to select the correct number of anwser options in the Option count box. Click Save Changes. 5. Enter the answer choices in the Options text boxes then click Save Changes. 6. Refer back to the Configuring a Poll block window. In the Poll name drop down list, the newly created poll will be availble to choose from the list. 7. Click Save Changes. The poll will be displayed on the course page.